I am addicted to practicing but that hasn't always been the case. After I became a stay-at-home mom who was desperate to still play music I had to figure out how to learn and practice music in the little time I had in between naps, doing laundry, meals, and everything else. I have also been a collaborator for over 20 years and have played with just about every instrument there is out there. After sitting through hundreds of lessons and rehearsing with just as many musicians, students, amateurs, and professionals, I have come to see that we all make the same mistakes when it comes to practicing and I've learned how to quickly fix virtually any problem that we as musicians encounter. Practicing is my passion and it's a passion I want to share and spread. I am a pianist and cellist who received my bachelor's and master's degrees in piano performance from the Eastman School of Music. 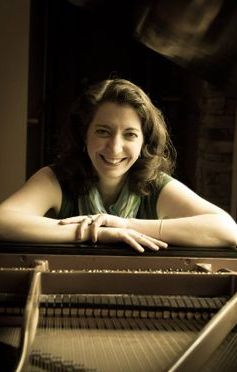 I have also studied piano collaboration and accompanying with Jean Barr at the Eastman School and with Anne Epperson at the Music Academy of the West.